The Los Angeles Angels hit three homers and finished with 13 hits. Still, it wasn't enough to end their longest losing streak of the season. 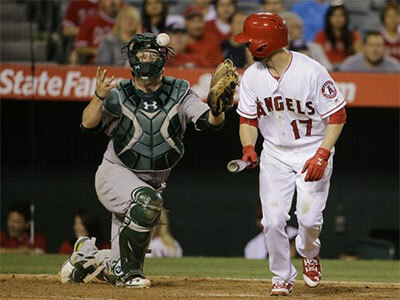 Coco Crisp hit a two-run single and scored four times, helping the Oakland Athletics beat the Angels 7-3 on Saturday night.